In early April, 1982, Argentina invaded the Falkland Islands, a few desolate rocks in the South Atlantic. The British mobilized their fleet, sending it south by way of Ascension Island. On the 25th, a force retook South Georgia, a even smaller and more desolate island that Argentina had also captured, while the main task force closed in on the Falklands. May 1st saw the British launch their attack, first via bombers from Ascension and then from the carriers. May 1st had passed with little interference from the Argentinian Navy, but on the 2nd, Admiral Juan Lombardo, in charge of the naval defense of the islands, sent his forces into action. He had divided his available assets into four task groups, and sent three to the north of the islands, and one to the south. The most obviously dangerous group, TG 79.1, was composed of the carrier Veinticinco de Mayo, which had begun her career as the British Venerable, and two Type 42 destroyers, sisters of the ships that formed the core air defense of the British fleet. This group was accompanied in the north by TG 79.2, two ex-US destroyers armed with Exocet anti-ship missiles.1 The last northern force was composed of three French-built Drummond class corvettes, also armed with Exocets. The southern force was built around the light cruiser General Belgrano, formerly USS Phoenix. She was escorted by another pair of Exocet-armed American destroyers. 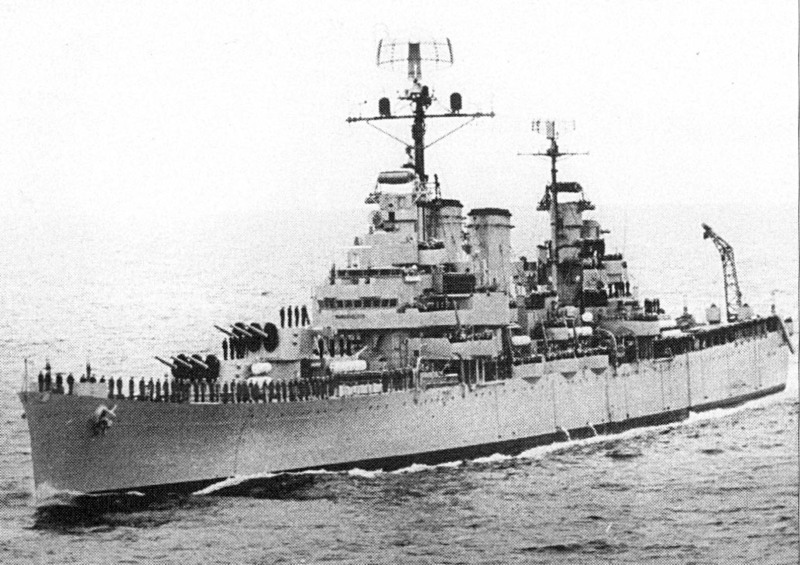 While it's easy to dismiss her 6" guns as obsolete in the age of supersonic fighters and guided missiles, the Belgrano was a serious concern for Admiral Woodward. His force was not set up to deal with a serious surface threat. The largest guns available were 4.5" weapons that were seriously outclassed by the Belgrano's guns, and their Exocets were not designed to kill armored ships. If the cruiser had managed to close within gun range of the carriers, probably at night or in bad weather, the results would likely have been disastrous. The action on the 2nd began early when the British sent a pair of Harriers to investigate radar contacts to the north. 150 miles from the fleet, one of them popped up to make a radar sweep of the surface, and had the rude surprise of seeing a task group less than 10 miles away. The pilot's radar warning receiver alerted him to the presence of a Type 909 radar, the system associated with the Sea Dart on the Type 42 destroyer. The Harrier dove for the deck, and made good its escape. 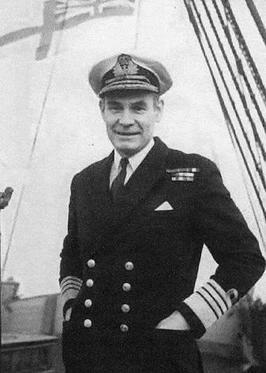 Admiral Woodward now knew where the enemy fleet was located, and deployed his trio of Type 42s about 30 miles towards the threat, while screening the carriers with his remaining escorts. CAP would be overhead from before first light, and he hoped that the Sea Harriers would be able to spot the low-flying A-4Qs, along with any land-based aircraft sent to aid the attack. The attack never came. The normal winds of that latitude dwindled to nearly nothing. 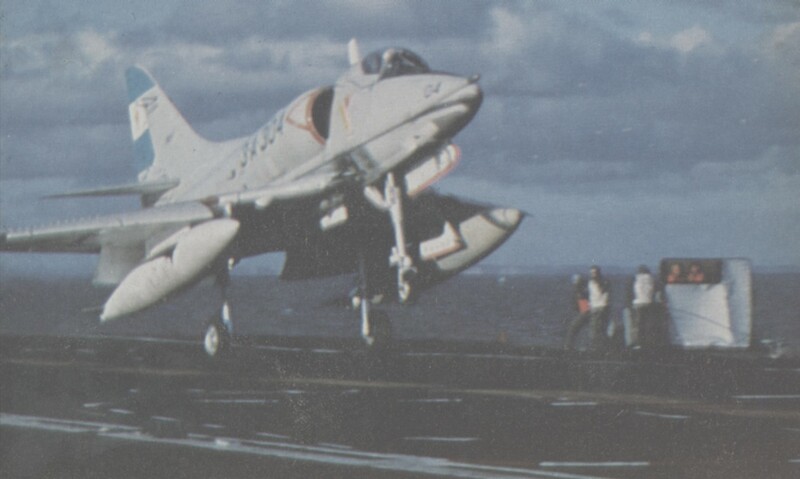 The carrier's own speed and catapults could produce an airspeed of about 100 kts, but a fully-loaded Skyhawk needed another 25 kts of wind to get airborne. As it was, the choice was between sufficient fuel to reach the British and bombs to kill them, and the commander of the Veinticinco de Mayo decided to simply wait. The Argentine Navy, in a bout of inter-service rivalry, decided not to inform the Air Force of its plans, and only 19 sorties were launched, as opposed to 56 on the 1st. The Navy's own land-based aviation units did attempt to get into the fight, launching a pair of Exocet-armed Super Etendards. As their unrefueled range was insufficient to reach further than Stanley, a C-130 tanker was detailed to support them, but problems with its systems resulted in the mission being scrubbed. 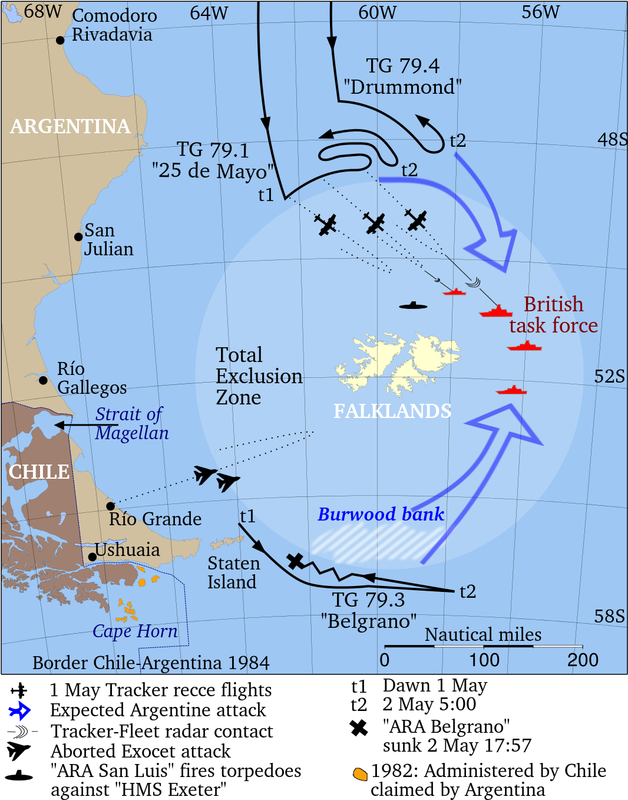 This situation prompted Admiral Woodward to request a change to the Rules of Engagement, allowing Conqueror to sink the Belgrano while outside the 200-mile Total Exclusion Zone the British had declared around the Falklands.4 The Chief of the Defense Staff, Admiral of the Fleet Terence Lewin, took the request to the War Cabinet. On the basis of his testimony that the Argentines were planning a pincer attack, and that the present course and speed were essentially irrelevant, the Cabinet authorized Conqueror to attack. This order was given at 1330 GMT,5 but communications difficulties meant that Conqueror did not get confirmation until four hours later. Reaching attack position on the Argentine ships, which were not even zig-zagging,6 took another hour and a half. Finally, at 1857 GMT, Conqueror fired a trio of WWII-era Mk VIII torpedoes7 from 1,400 yds in a spread aimed to put one of them into the Belgrano. The Belgrano was not expecting the attack. 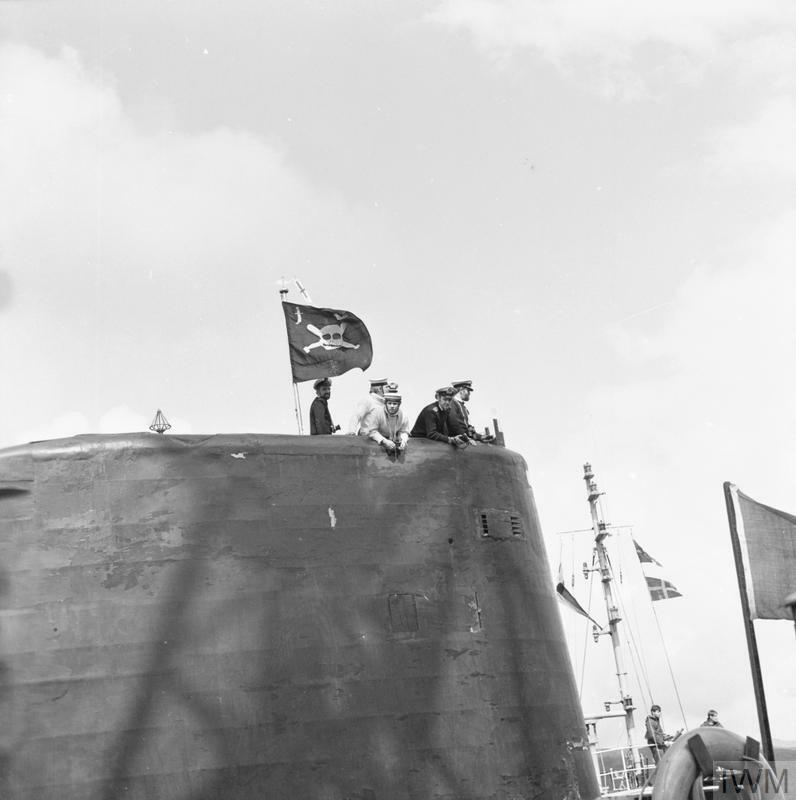 She was making only 10 kts, watertight doors had been left open and many of her men were enjoying an afternoon break in the mess deck. Two of Conqueror's torpedoes hit on the port side, one near the bow forward of the 6" turret, the other detonating alongside the engine rooms. The first hit smashed up the bow, but the bulkheads held, and the ship could easily have returned to port. The hit aft was much more serious. It managed to flood the engine room and sent a fireball racing through the mess deck, killing approximately 275 men.8 Power failed throughout the ship, and the officers quickly determined that she was doomed and ordered her abandoned. The crew deployed the self-inflating life rafts and evacuated in good order. Unfortunately for them, the loss of power had been too sudden to let them get a message off, and the destroyers, several miles away, had not seen her other distress signals. The destroyers were also distracted by an impact that one of them, Hipolito Bouchard, felt at about the time Belgrano was hit. 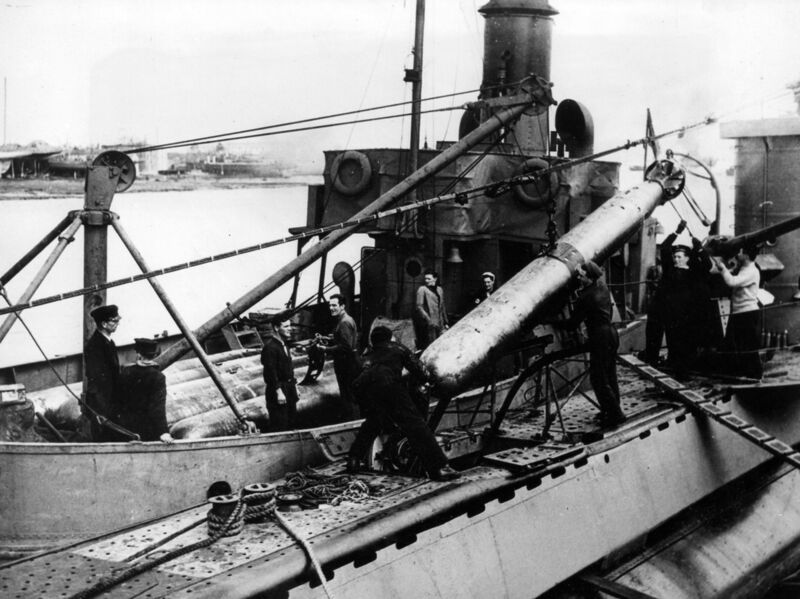 The crew believed it to be a dud torpedo, and later examination in drydock revealed a mark consistent with this theory. 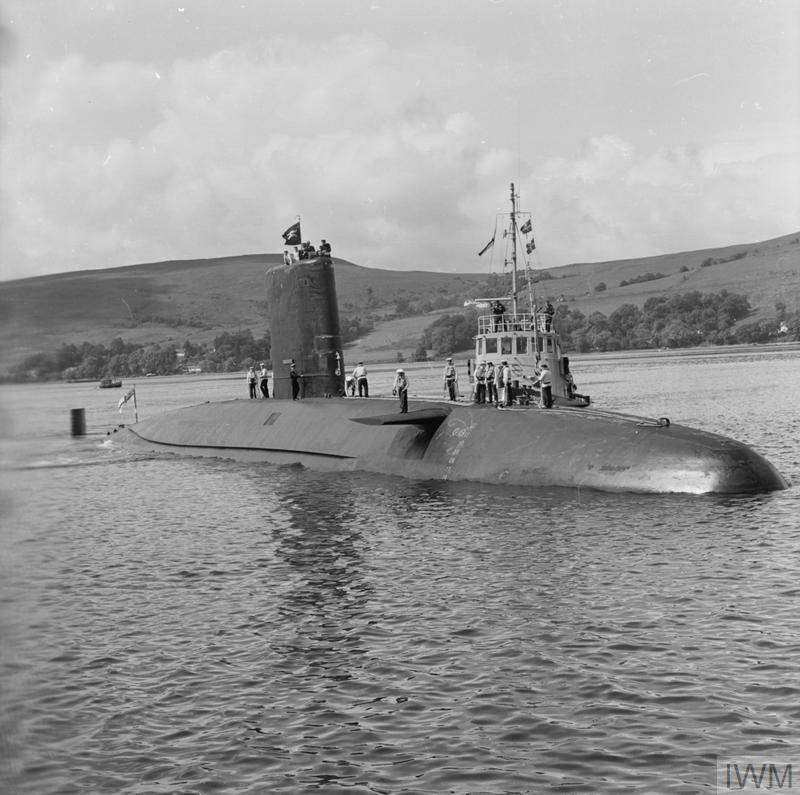 If so, Conqueror nearly bagged her, too, although the torpedo was apparently moving too slowly to set off the warhead. In any case, they immediately began hunting the submarine, and only noticed the lack of contact with the cruiser two hours later. The delay meant that the crew were not rescued until the next day, having spent the night in the brutal conditions of the Southern Ocean. A few rafts were lost, but in the end 772 of the 1,095 men aboard were rescued. 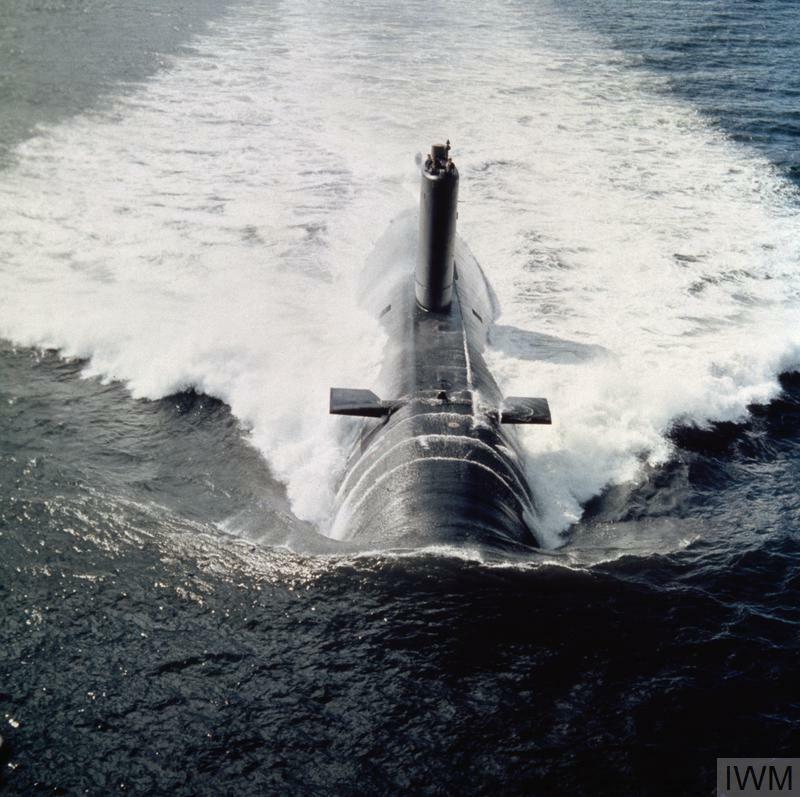 Conqueror's three torpedoes, the only ones ever fired in anger by a nuclear submarine, immediately changed the war at sea. Admiral Woodward's southern flank was no longer in serious peril, as the destroyers, even if they had still been willing to risk an attack, were within the capability of his force to handle. 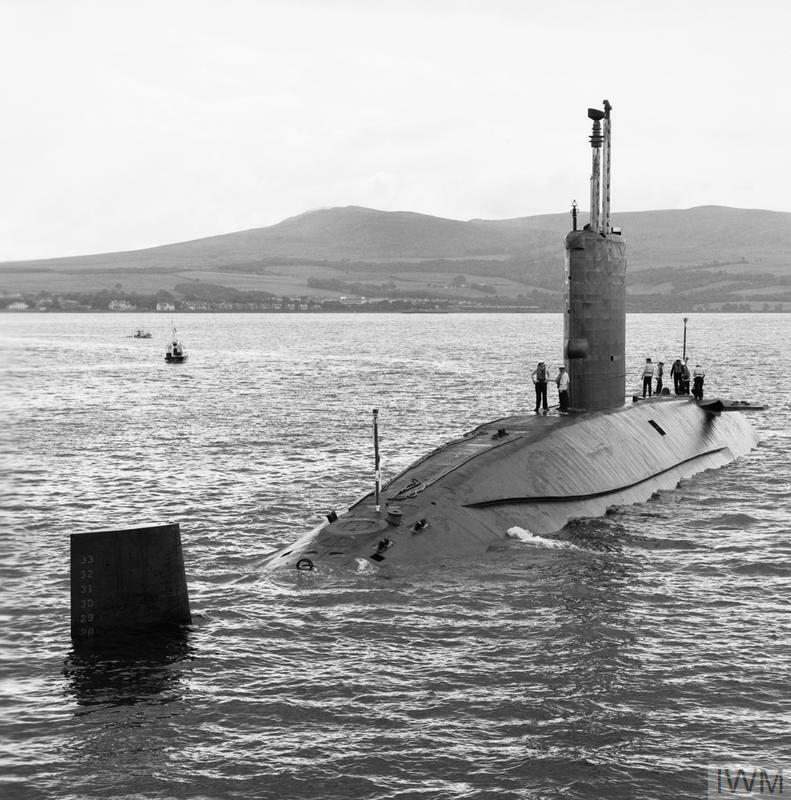 More than that, the attack prompted Lombardo to withdraw the rest of his fleet into shallow water where the British submarines couldn't follow, securing control of the waters around the Falklands for the British. The 3rd was a fairly quiet day off the Falklands, at least as far as the war went. 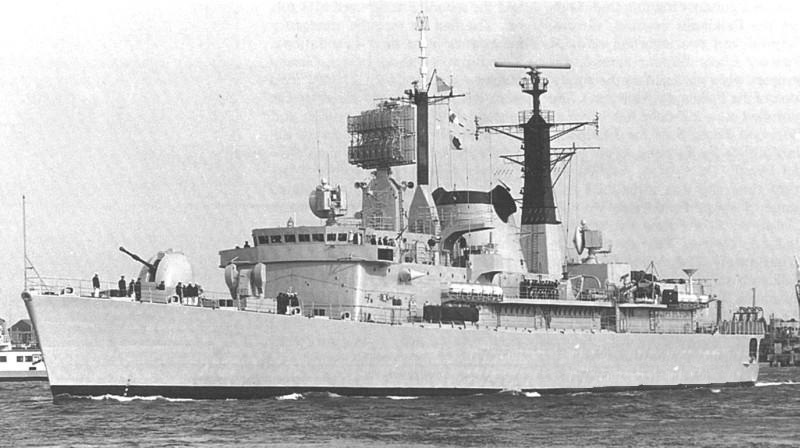 The storm that had battered the survivors of the Belgrano reached the British task force, and they sat the day out. 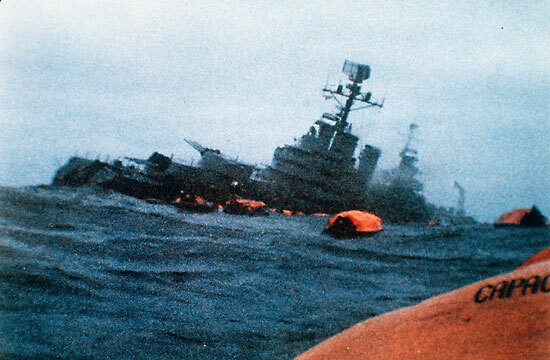 The sinking provoked a controversy that continues to this day, due to the Belgrano's course away from the battle and position outside the exclusion zone. Argentine nationalists and anti-Thatcher elements in Britain have both demonstrated their ignorance of military affairs by claiming that this somehow rendered the sinking illegitimate. This was very much not the case, and in postwar interviews, the officers of the Belgrano agreed that they had been a valid target. The situation was made worse by a peace proposal from the President of Peru, which was issued 14 hours before the sinking, but did not reach London until afterwards. Argentina used the Belgrano as a pretext to reject the proposal, although it's unlikely that they would have accepted it anyway, as they continued to reject British peace offers for the rest of the month. General Belgrano remains both the only vessel sunk by a nuclear submarine in time of war and the last vessel to serve with the USN in WWII sunk by enemy action. Her loss was a critical turning point in the war, securing British sea superiority. The first two days of May saw the British Carrier Task Force come close to achieving its main goal of securing air and sea superiority in preparation for the upcoming landings, for little more than the cost of ammunition expended. Over the next few days, they would learn that Argentina would not fall that easily, as British fortunes took a turn for the worse. The Falklands histories I've read have always approached things from the British point-of-view. As a result, I've never seen an interrogation of the Argentine decision to withdraw their navy to port. It strikes me that at this point the war is basically over - yes, there are some twists and turns still to come, and maybe if the FAA had got incredibly lucky they might have hit an aircraft carrier with an Exocet, but basically the Argentinians are now sitting passively just waiting to be conquered. So what were they thinking? The little discussion I have read puts it down to rivalry in the junta, which I find hard to believe as a stand-alone cause, rather than as part of a bigger explanation. Were they thinking they could put to sea again later? Did they imagine that Britain would just give up? Did they not understand that they would all be thrown out if they lost the war? Did they fail to comprehend how bad their strategic position was? Or did they understand all that, but think that naval engagement would be futile? There is an alternate universe where Lombardo, enraged by the loss of the Belgrano, sails on and confronts the Task Force in what is presumably the largest naval battle since WW2. What do you think happens? Are they massacred by British subs before they can even engage the fleet? Does the Exocet wreak havoc? To my mind, this is the most fascinating unanswered question of the war. This is a hard one to figure out. I think the biggest factor was probably the institutional drive to preserve the ships. Even Lombardo, whose neck was on the line as part of the Junta, was still deep down a Navy man first, and a member of the Junta second. If the Navy is destroyed in the war, he's lost his power base, and gets thrown out of the Junta anyway. At the same time, I'm not as sure as you are that the war was lost. Amphibious landings are tricky things, and they probably thought they had a good chance of being able to throw the troops back into the sea. The British have to win both sea/air superiority and on land. The Argentines can win either and still emerge victorious. Figuring out what happens with the Lombardo's Revenge scenario is going to take much more information on what the submarines were doing than is available in public sources. But they didn't contest the amphibious landings. In fact, it was so uncontested that some of the British landed, got bored, decided that it was easier to sail than march, and did a new amphibious landing closer to Stanley to save effort. And it's hard to see how they could have contested them, because the Falklands are big compared to the number of Argentine troops, and the Task Force gets to choose where to land. They can't have imagined that the British would try to land in Stanley right against their dug-in positions. Or did they? Because it's weird that they lost without ever fighting a proper battle - was that what they were hoping for? The amphibious landings were uncontested because the British landed at the opposite end of the island from Stanley. That was unexpected by everybody. I haven't looked into the amphibious landings yet, but IIRC there was serious talk of landing much nearer Stanley, and that was what Argentina expected. Bluff Cove was a logistical landing, not a combat one. They had confirmed it was clear of troops, and it thus made sense to not have to ship supplies halfway across the island. As for battles, do Goose Green and Mount Tumbledown not count? The reason the forces in Stanley surrendered was because the British had the hills around them, and it was clear that further defense was untenable. If they were expecting a landing next to Stanley, that's foolish, but the ordinary kind of understandable foolishness that happens in strategy. So I guess that makes sense. By battles I didn't necessarily mean land battles. Goose Green is famous but that was a tiny portion of the Argentine forces, and it was initiated by 2 Para, not the defenders. It would have been pretty shocking if the Argentinians had surrendered there without a fight when they had almost a 2-1 advantage. I just meant the more general phenomenon where the navy stays in port so as not to risk their ships, the air force don't go to the Harriers altitude so as not to risk the planes, the army stays dug into Stanley until they get surrounded - it feels like they should have just surrendered if they weren't going to engage the Task Force. And maybe that's the answer - it's certainly the case that the junta was shocked when we sent a Task Force, so maybe they had inwardly accepted defeat at that point and were just playing out time. But if they were playing to win then I remain convinced that they were in big trouble at this point. The army did as well as could be expected in the circumstances and the air force considerably better. I suspect the Junta started drinking their own Cool-Aid, and couldn't back down when it was obvious the British were going to fight. (Which is really what they should have done, and I'll agree that the war was essentially decided by May 3rd.) There's also the issue of morale. Well-led men with good morale will stay in combat even when the odds are bad. When the officers are bad and the men don't really want to be there, then your force crumbles quickly. Particularly if you try to get clever and attack. As for the navy in particular, I suspect they were too invested in the carrier to hazard her. This is a navy that to this day conducts occasional CATOBAR training when there's a USN carrier passing by. Even though they haven't had a carrier in 28 years. Think about what it was like when they did have one. They'd never recover the institutional prestige of losing her. Part of the reason Sandy was so worried about the enemy carrier was that the British force lacked any AEW capability, greatly increasing their susceptibility to a raid. Supposedly, Belgrano was equipped with mock-up Exocet launchers constructed of wood. The British of course didn't know they were fakes and this raised their estimation of the threat she represented. I think she'd have been sunk anyway, but still not exactly helpful. Fun fact about Belgrano (Ex USS Phoenix): she got in some hits on Fuso-class BB Yamashiro at the battle of Surigao Strait. As I found it, the escorting destroyers (both FRAM II Allen M. Sumner-class) had basically had no ASW capability. An officer who served aboard one of them noted that they were still technically equipped with VDS, they weren't using because it was "very old and not much good." The Argentinians seemed to conceive of them as primarily ASuW (they had Exocet fitted, IIRC) and presence platforms. Belgrano herself had no sonar, but did have a hanger for a couple of Alouette IIIs, though they had little or no ASW utility. She'd had torpedo bulges fitted postwar, but it doesn't seem to have helped much. It's also worth mentioning how spurious contacts had the British running around like crazy prosecuting phantom Argentine submarines. Surface ASW is hard. Re the ASW hunt on the 1st. I looked into this, and honestly couldn't figure out what was going on. Every source said something different, so I just punted and said "ASW engagement, details unclear". But I do think it was Brilliant and Yarmouth. I did know about the spurious contacts, and how much time they spent prosecuting the local marine life. I even wove that into the Staple Head story, just for fun. Speaking of that presentation, are you ever going to write it up so we can see it? Yes, I feel rather guilty about that. I moved to a job at a different company which, while a major step up, is also keeping me absurdly busy. It's definitely still in my queue but it's probably going to be another month or so before I can put electronic pen to paper and get it into a nice blog-post format. Congratulations on the move! I look forward to seeing it when you have some time to write it up.